How and where do I get a valid will for everything I have in Bulgaria? Articles How and where do I get a valid will for everything I have in Bulgaria? Usually the existence of wills hear in movies or ads, which always after the announcement of the will of the deceased can be seen angry, surprised or unhappy heirs. Little is known that in our country there is a detailed layout of wills that is built on very formal rules. And it is good to know all of them well before proceeding to distribution during the inheritance. Otherwise, hedges, legal disputes and legal uncertainty are guaranteed. The very specific reader's question provides an opportunity to clarify some of the basic rules and procedures in the preparation of a will. Many answers can be found in the Inheritance Act (H) and accompanying and supporting regulations can be found in the Civil Code, Law on Notary, and in the rate for notary fees. The MA has a special chapter titled "Legacy by Will". At the outset it is important to note that in order for a person to write a will and to dispose of its property until after his death, takes several things - be over 18 years is not placed under full guardianship to be able to act wisely. According to Art. 14, para. 1 of the HH, each "may dispose by a will with all his property". In this way, this rule gives the impression that without any problem anyone can dispose of what they leave as an inheritance. And that's not exactly the case. Because the second paragraph of Art. 14 states that "the testamentary injunctions can not in any case affect the reserved part of the heirs". So Art. 28 H explicitly states that "where the deceased leaves descendants, parents or spouse, he may by testamentary dispositions or by donation prejudice to what constitutes their share of the inheritance." Outside of this preserved part is the available part, with which any legator can dispose of and live, whether by donation or by will. The hypotheses here are very different and depend on how many children the legend has, whether they have a husband, whether they have parents, etc. Naturally, there is no problem to make a will for the whole heritage. But after death each of the children who has been deprived of his or her part has the right to claim under Art. 30, para. 1 of the HH. According to that provision, any "heir entitled to a reserved part who can not obtain the full amount of this part by wills or donations may request their deduction to the amount necessary to supplement his reserved part." It is good to know what the difference between the heir and the covenant is when it comes to a will. In the first variant, heir, is the person in favor of which are made testamentary orders relating to the whole or to a fraction of the whole property. For example, one second of the entire heritage. If the orders relate to a particular property, then the person is a covenant. For example, an exact picture is being betrayed. The will may be two types - notary or handwritten. The notary is carried out by a notary in the presence of two witnesses. Technically this happens as the testator expresses his will verbally to the notary who writes it verbatim. The latter then reads the testator's will before the witnesses. Then the notary has to make notes - place and date of drawing up. Finally, the document is also signed by the testator, the witnesses, and the notary. The handwritten testament must be entirely written in manuscript by the testator himself, it must bear the date on which it was drawn up and be signed by him. The signature must be placed after the testamentary orders. The will may be handed over to the notary in a closed envelope. In this case the notary draws a record on the envelope itself. The minutes shall be signed by the person who has submitted the will and the notary and shall be entered in a special register. The handwritten testament handed over for custody may be taken back but only by the testator in person. For the return of the will, a note is made in the special register, which is signed by the testator, two witnesses and the notary. 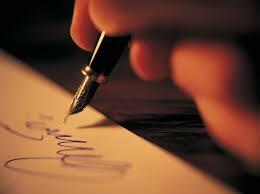 There are cases in which, however, it is simply a handwritten testament, and it is not left with a notary. According to HH rules, "the person in which a testamentary testament is found must, as soon as he becomes aware of the death of the testator, ask for his declaration by the notary." This may be a person with whom the testator has lived, or a person to whom he has left him alive. If this is not done, anyone interested may ask the district judge of the place where the estate is found to set a time limit for the submission of the will to be announced by the notary. How and where do I get a valid will for everything I have in Bulgaria? How and where do I get a valid will for everything I have in Bulgaria?